together for the time of your lives! Click here to access our Group Request Form and we'll contact you! Simple... as few as 10 individuals traveling together, whether it's on a cruise, a resort retreat, a guided vacation or a custom-made itinerary. They may be family, friends, business associates, all sharing a common interest... to relax, rejuvenate or just have fun! Group travel with family and friends will certainly offer long lasting memories and strengthen bonds that already exist. We've brought hundreds of families and groups together over the years, so don't burden yourself with trying to work out all of the details. We're here to do that for you! We will coordinate everything from start to finish. Our expert consultants will handle everything from creating a group flyer to coordinating dining plans. Do you want a venue to get together to share family memories, or just to catch up with old friends? We will arrange it for you. Does your group want to charter a snorkeling boat on a Caribbean island? We can do that too! Group travel is a great way to reunite family and friends. Whether it's 8 staterooms, or you have enough people to charter an entire ship, we'll work for you so you enjoy the maximum benefits of group travel. When planning your next sales meeting or incentive keep us in mind. Whether it is a 200 person meeting or a prize for your top salesperson, we can handle all of the details. Meetings at sea are an exceptional value since most of your meals and meeting space is included at no additional charge. We can arrange everything from audio visual equipment to an awards dinner while you're cruising. Prefer to stay on land? We can help you arrange a meeting at a hotel in the heart of the city or at an all-inclusive resort where you're surrounded by nothing but pristine beach and crystal clear water. Is your organization looking for a fun way to raise money? There is nothing better than a vacation that gives back. Call for details of how you can earn thousands of dollars for your cause. The friends made in college are friends forever, and reconnecting with your alumni is as rewarding (and fun!) as it gets. We'll take care of all the details for you, so the reunion with your fraternity, sorority, club, or network will be as relaxed and memorable as you hope. Getting married? Destination weddings are a great choice and we can help you find a fabulous and exotic destination for your perfect wedding. While traditional weddings can be expensive, destination weddings are surprisingly affordable and go beyond by extending your dream day into a beautiful and enjoyable mini-vacation for both you and your guests. Let us arrange a unique, memorable destination wedding to ensure you enjoy your once in a lifetime celebration. If you've cruised, you probably already know why cruising is a preferred option for groups. It's an ideal way to bring a diverse group of people together in the fun and relaxed atmosphere of a cruise ship. Group cruising is also the best value for the money because the price of your cruise can include all meals, snacks, plus 24-hour room service, entertainment, activities, accommodations, health and fitness club. Not to mention that a cruise ship visits many different ports offering adventure every new day. If you haven't cruised, we will explain the incredible variety of options that are available to ensure that you choose the right ship, the right itinerary and the right time of year to travel. Which hotel? Where is it? What are the facilities? How do we all get there? So many questions, so many details. It's our job to provide the answers, so that whichever hotel or resort we plan will perfectly match your group's needs. We have an incredible range of options for you, from beach and golf resorts, to city center hotels, to destination spas, to lodges in unique locations. Our portfolio of worldwide hotels is unmatched...and of course we'll be sure to negotiate the very best values and special amenities for your group. More and more families and groups are discovering the benefits of traveling on a guided vacation. All the details are taken care of...from hotels, to sightseeing to meal arrangements. You'll spend your time exploring, not planning! 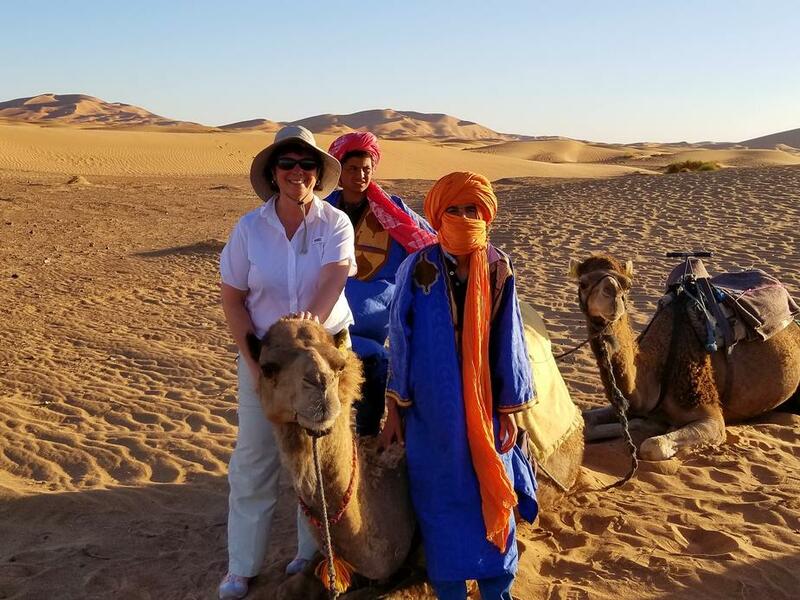 Plus your group will enjoy priority access to the most popular sights, and a tour director to act as your group's own "personal concierge" throughout the tour. Our preferred operators are the best in the business, and offer guided vacations all over the world. We'll help you find the destination, the itinerary and style of tour to perfectly match your group's needs. Our job is to make dreams come true. Whatever your group's preferences, we can design an unforgettable trip. With access to destination specialists around the world, we can customize a vacation that perfectly suits your needs, whether it's combining a variety of hotel, land and cruise experiences into one seamless itinerary, or creating tailor-made excursions you didn't think possible! Why Reserve Your Group with Us? Our travel consultants are experienced in servicing groups ranging in size from an intimate party of ten to thousands of people. Plus, enjoy the highest standards of quality and personal service; negotiated lowest possible group rates; and extra privileges and benefits, which may include FREE amenities such as category upgrades, cocktail parties, group photos, and champagne. Let us do all the work, so you can relax and enjoy the experience! CLICK HERE to Complete our Group Request Form today!